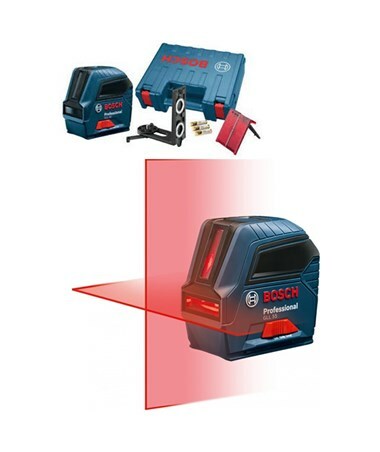 The Bosch GLL 55 Self-Leveling Cross Line Laser is a versatile professional construction laser with a magnetic bracket and is capable of a wide array of alignment and leveling applications. 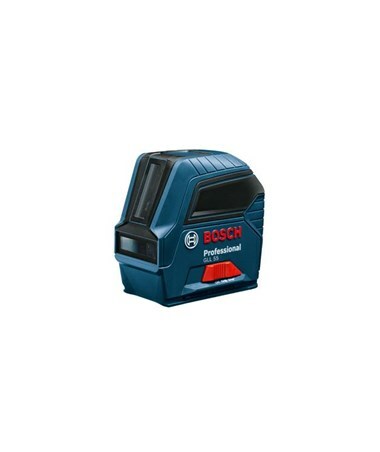 It has an accuracy of ±1/8 inch at 33 feet with the laser lines visible up to 50 feet. Also featured is a smart pendulum system that self-levels up to 4 degrees and indicates an out-of-level condition. Different layout modes can be easily selected with the device’s simple keypad operation. 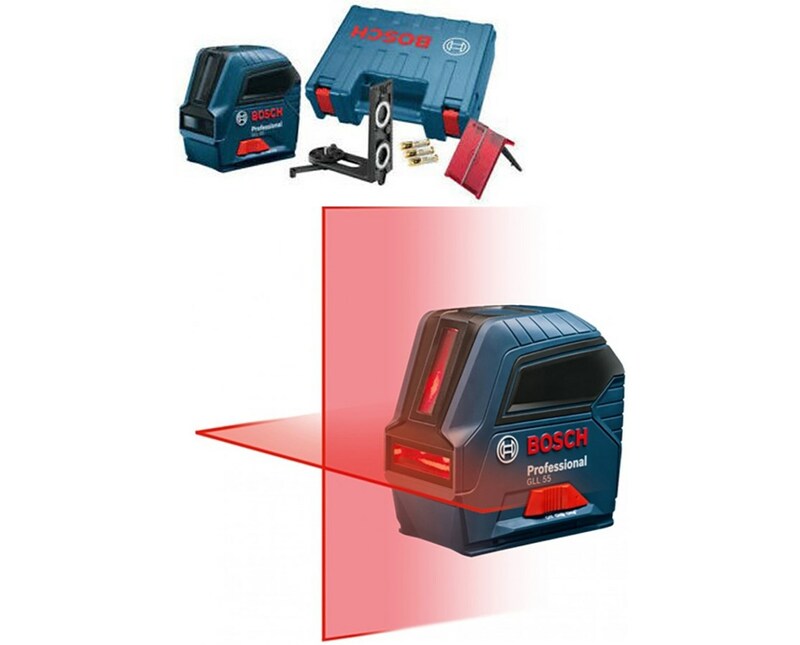 This cross line laser features the Bosch-exclusive VisiMax™ technology, which constantly monitors the laser's temperature for maximum line brightness of diodes and overheating prevention. 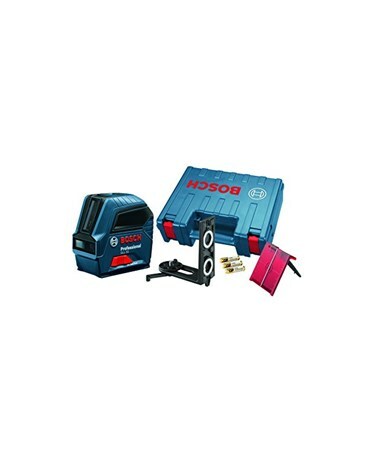 It includes a magnetic L mount that provides strong magnets to attach to steel studs and a freestanding mode with retractable feet. 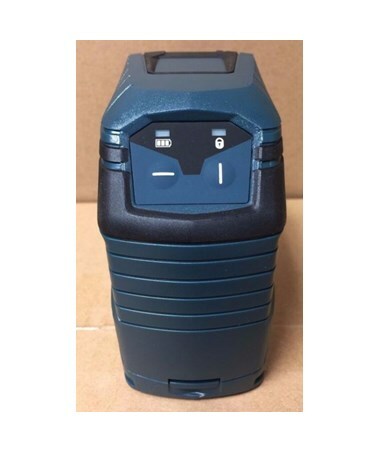 This self-leveling laser is built from a plastic composite with a robust over-molded construction, making it IP54-rated for dust and water protection. Another protective feature is a secure transport that locks the pendulum after switching the laser off.